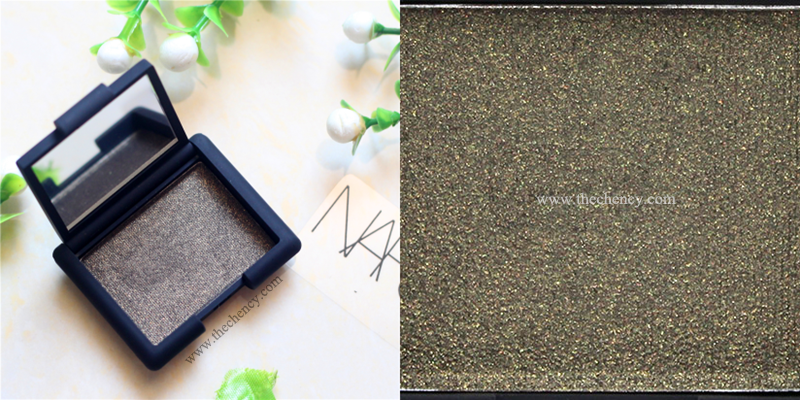 NARS Hardwired Eyeshadow in #Gabon is a beautiful bronzed green color; describes as gold dark khaki as well. It is a dark base olive green or khaki color with gold fine shimmer inside. The color were subtle and sophisticated. 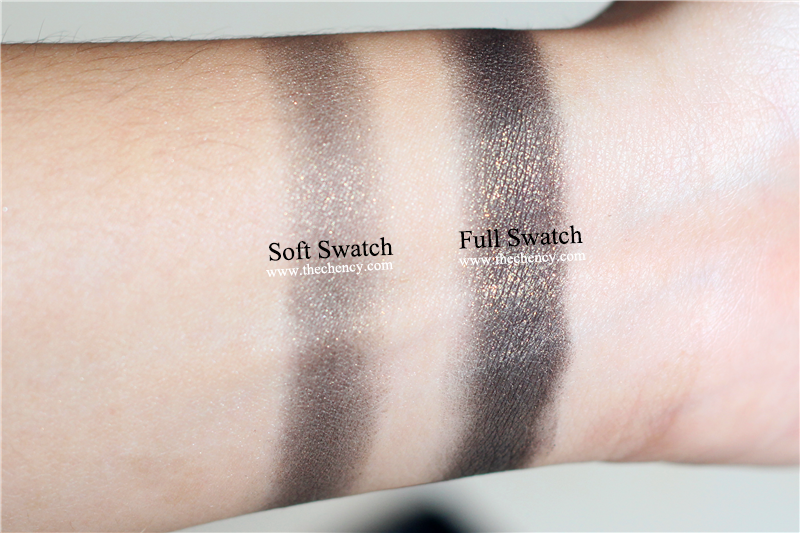 When swiped on, I can feel the chunky and gritty shimmering on my hand so in conclusion the formula of this eyeshadow was smooth but also slighty coarse. 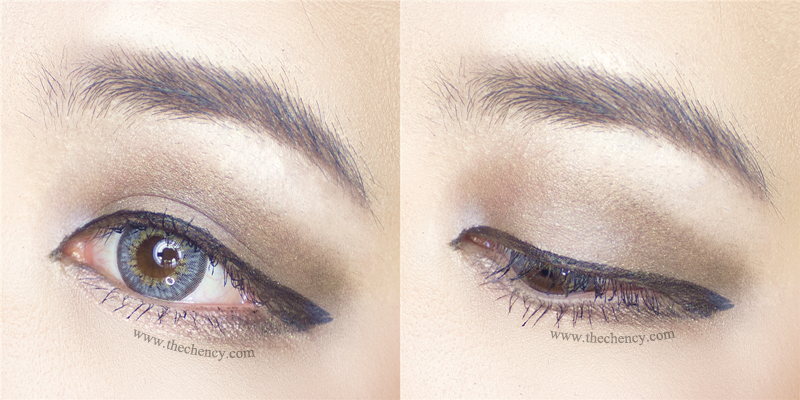 This eyeshadow can be apply in two ways, dry or damp which will creates different effect. I found this eyeshadow was not that pigmented in one swipe but it's buildable. 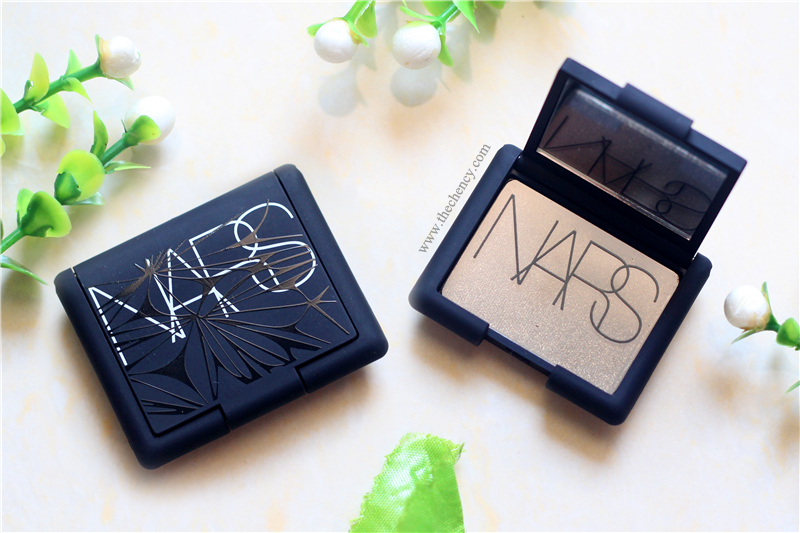 NARS Hardwired Eyeshadow in #Gabon has iridescent and slight metallic finish. It's even prettier in metallic finished if apply in wet form. It's advisable to prime the eyes or conceal eyelids for a better color performance and prevents from falling and creasing. How about fall out? Yes! I can see minor fall out at under my eyes and on top of my upper cheekbones during application. I'm using bb cushion sponge to lightly stamp away the excess fall out on my cheekbones. The grain of this eyeshadow was just fine and shimmering so I think these are very forgiving. I found that this eyeshadow was abit hard to blends as well. It has to takes some time to done the job. 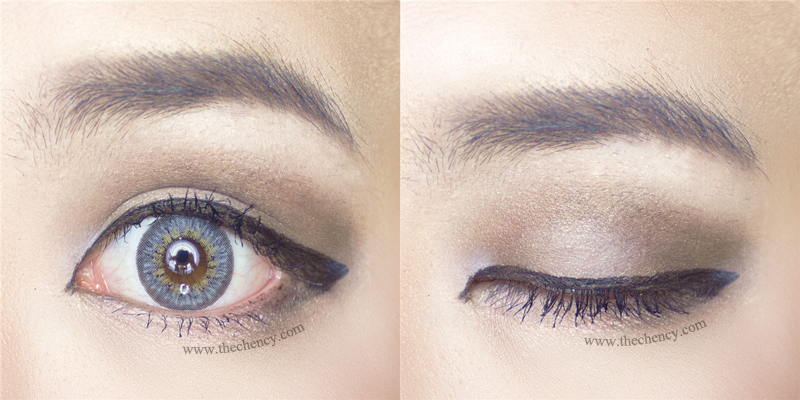 The wear time was perfect as the color stayed on my eyes all day long without any creasing and fading.